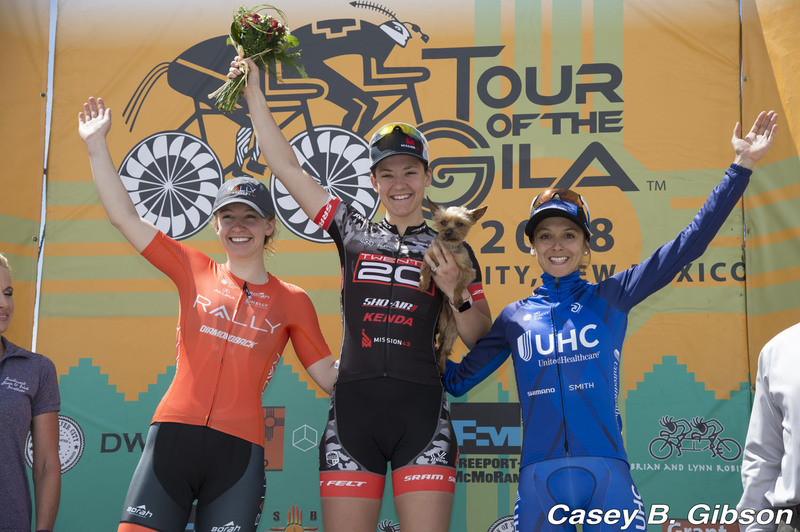 Results from the second stage of the Tour of the Gila in Silver City, New Mexico. 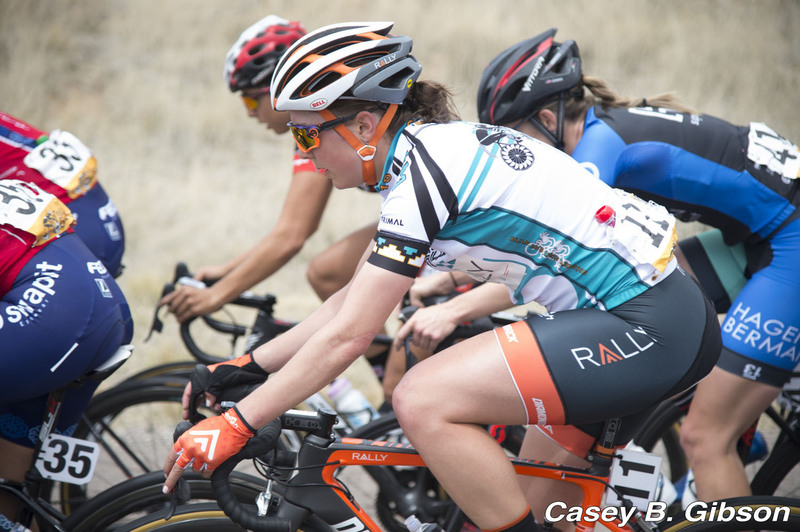 2 Emma White (USA) Rally Cycling Women at s.t. 36 Deborah Paine (NZl) Roxsolt Attaquer all s.t. 38 Stefanie Sydlik (USA) QCWomen s.t. 42 Erika Varela (Mex) Team Conade-Specialized-Visit Mexico s.t. 44 Amber Pierce (USA) Roxsolt Attaquer s.t. 46 Jannie Milena Salcedo (Col) Team Colombia s.t. 10 Allie Dragoo (USA) Sho - Air TWENTY20 s.t. 13 Jennifer Luebke (USA) Hagens Berman / Supermint Pro Cycling Team s.t. 22 Yenny Colmenares (Col) Team Colombia s.t. 30 Erica Clevenger (USA) Sho - Air TWENTY20 s.t.